Niagara Motel: 5.5 out of 10. Part of the deal with TMN, the movie network we get here in Southern Ontario, is that for every quality movie you've heard of there are a few movies you'll never hear about anywhere else. Following another dismal hockey game, we decided to give this unknown Canadian movie a shot. It's not bad... It's only 88 minutes and I made it all the way through. The big name imported "star" is Craig Ferguson but it's definitely Niagara Falls, Canada. 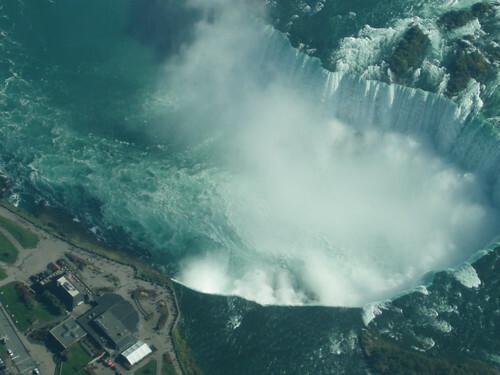 And now, because it's sort of justified by this movie review, here's my photo of Niagara Falls taken from Humble Howard's airplane. I watched that movie....very very strange movie.